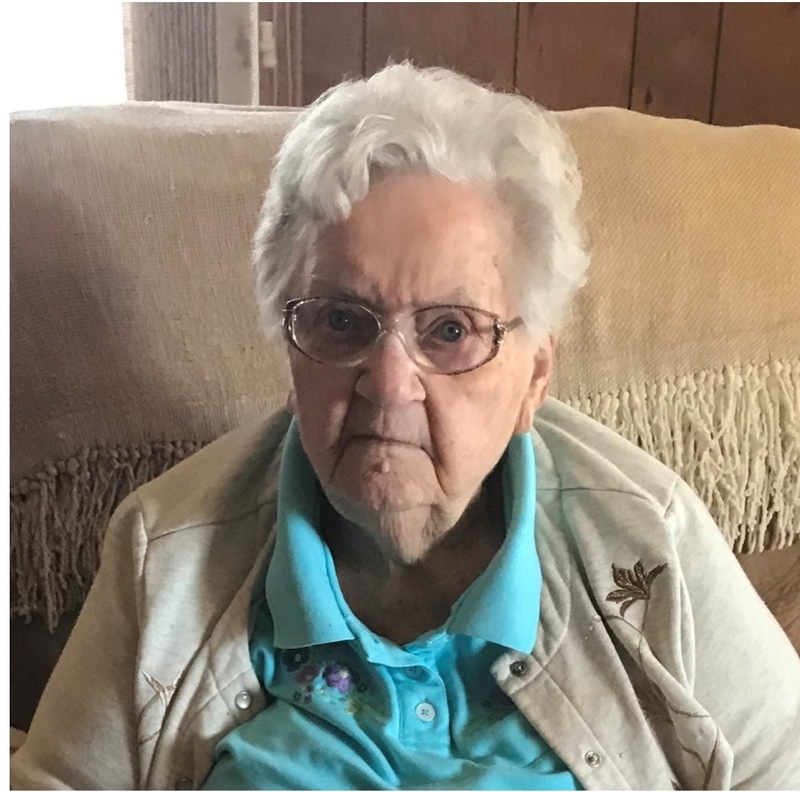 Lillian May Dipzinski, age 90 of Gaylord, Michigan passed away Thursday, November 22, 2018. Lillian was born May 12, 1928 in Libby, Montana to Edward and Orpha (Decker) Haskill. Her family later moved to Michigan, where she graduated from Johannesburg School in Johannesburg, Michigan. On August 31, 1947 she married Claude C. Dipzinski at St. Mary Church. She worked for the Country Star Market at the deli counter. She was a member of the Eagle Auxiliary, Post #1825, and a proud catholic. Her interests included; playing cards, bingo, knitting and being with family. Lillian is survived by her children; Elaine Ciszewski, Debra Barber, and Donald (Chris Amborski) Dipzinski, all of Gaylord, Michigan, grandchildren; Annaliese (Mark) Koronka, Christopher (Inez) Ciszewski, of Gaylord, Michigan, Amanda (Ramsey Innab-Triesh) Dipzinski, Wesley (Katie) Dipzinski of Virginia Beach, Virginia, great-grandchildren; Gavin (Liz Thick) Koronka, Garrett (Shelbi) Koronka, and Grant Koronka of Gaylord, Michigan, Lucy, Rosie, and Daisy Dipzinski of Virginia Beach, Virginia, great-great grandchildren; Tucker and Fletcher Koronka of Gaylord, Michigan. She is also survived by her sister, Jeannine Marjerrison of Kalispell, Montana, and many cousins, nephews and nieces. She was predeceased in death by her mother and father, Orpha and Edward Haskill, her husband Claude C. Dipzinski, also her brother Erwin Haskill, sister Annabell Zeilinski, son-in-laws Donald Ciszewski and Samual Barber. A funeral service will be held at the Nelson Funeral Home on Saturday December 1, 2018 at 1:00 PM. Visitation will take place at the funeral home from 10:00 AM until the start of service. Lillian was wonderful. I worked with her at Country Star Market in the bakery. I decorated cakes and she worked in the deli that was under the same management as the bakery. She was so kind and understanding. Thank you for the memories. Teresa. Please accept my sincere condolences on the loss of your beautiful mother, grandmother and sister. To the family of Lillian. Sorry to hear of her passing. She was a good neighbor and friend. God Bless you all. Our thoughts are with Lillian’s family and friends, celebrate her life and hold her memories close.